HtN is Headed to the Toronto International Film Festival! 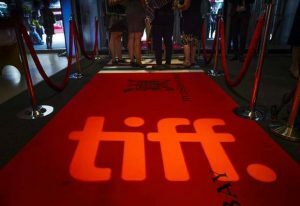 Founded in 1976 as the Festival of Festivals, the Toronto International Film Festival (TIFF) took on its current name in 1995. Held annually in September, the festival is often a prime showcase for the artistically ambitious films that dominate the pre-Oscars season every year. With 255 features and 88 shorts, the 2018 iteration of the festival promises to provide as fascinating a mix of films as ever. The hardest part about making this list is that I want to see far more than the 8 listed, below, and the process of whittling down the choices to just these has occupied the better part of the last week, causing intense throes of cinematic agony. Rest assured that I plan to offer coverage far beyond these particular movies (as does Matt, I am sure), though I know for an almost-certain fact that I will see these, and maybe even interview some of the directors. To alleviate my self-imposed pressure, I decided to only put narrative features on my list, even though I am part of a documentary-themed podcast (The Fog of Truth), since my favorites among the nonfiction films will eventually get the reviews they deserve, either on that podcast or here. As anyone who has read my writing for Hammer to Nail since I joined the site in 2015 knows, I make it to a fair amount of film festivals, all of which offer a variety of films great and less so. This will be my first time at Toronto, and it is (so far) so much bigger than my prior fests that I am overwhelmed by the assortment of filmic riches (check out the full slate to see for yourself). Here’s hoping I have made the right choices (I would gladly watch and review most of the movies on Matt’s list, too, as well as many others). Stay tuned for further reviews where we discover how it turned out. So, to say that I am eschewing documentaries and then include this “meta-mockumentary” (as per the official TIFF synopsis) may seem like a bit of a cheat, but it’s worth it, as Iranian director Jafar Panahi (This Is Not a Film) appears to deliver, yet again, an insightful meditation on both cinema and the human condition. Blurring the line between fact and fiction, he and actress Behnaz Jafari play loosely dramatized versions of themselves as they travel to a remote village to rescue another, younger actress on the verge of suicide, driven to despair by her family’s contempt for her chosen profession. Sure to be an exciting examination of the cost and rewards of artistic expression (mirroring Panahi’s own legal problems at home), 3 Faces won Best Screenplay at this year’s Cannes Film Festival. I can’t wait! Judging by the terrific trailer and Thanksgiving release date for Green Book, we may have a Peter Farrelly Oscar movie on our hands, and what a wonderful surprise that would be. Expect Universal to campaign for Mahershala Ali, who won for supporting actor just two years ago for Moonlight, and Viggo Mortensen, who adopts a thick Italian-American accent to play the ball-busting chauffer for Ali’s sophisticated pianist. The two become an unlikely pair while navigating gigs in the racist south. Based on a true friendship, this film should hit the zeitgeist and pull some heartstrings, with a healthy dose of Farrelly brother humor to go alongside. I loved Marielle Heller’s 2015 directorial debut, The Diary of a Teenage Girl, in which she explored the fraught subject of a young woman’s affair with her mother’s boyfriend. Visually inventive and filled with great performances, that film convinced me that I would watch anything else Heller made. Flash forward three years, and she’s back, with Can You Ever Forgive Me?, starring Melissa McCarthy (Spy) as the real-life Lee Israel, a writer of not-so-successful celebrity biographies who turned to forgeries to make ends meet. With a supporting cast that includes the likes of Richard E. Grant and Jane Curtin, the movie promises to be an exciting, gripping dramedy. Mia Hansen-Løve is one of the most exciting auteurs to watch. After working with actor Roman Kolinka as Isabelle Huppert’s younger love interest in Things To Come and a troubled youth in Eden, she’s now placing him front and center for Maya, which chronicles his relationship with an Indian teenager who helps him reintegrate into everyday life after a traumatic incident in Syria. Hansen-Løve has a knack for revealing profound truths through subtle but lyrically beautiful storytelling. If her Goodbye First Love is any indication (one of my all-time favorite films), Maya should be heartbreakingly romantic as well. Winner of the 2018 Cannes Film Festival’s Jury Prize, Capernaum is another fictional film with documentary elements, its main actors mostly non-professionals from in and around Beirut. Lebanese director Nadine Labaki (Where Do We Go Now? ), with just her third feature in 11 years, has crafted what seems to be a shattering tale of childhood gone awry, as she follows a young boy who, disgusted with his parents for their behavior, files a lawsuit against them for bringing him into this world. I trust it will be equal parts sublime and wrenching, handled with Labaki’s usual artistic sincerity. Barry Jenkins’ follow-up to Moonlight should be on every most-anticipated list this year, not only because of its award-winning director, but because it’s an adaptation of a beloved James Baldwin novel. Jenkins actually mentioned his desire to adapt a book (probably Beale Street?) in a 2009 interview with Hammer To Nail for Medicine For Melancholy. A decade later we’ll see if this long-gestating project can live up to the extremely high expectations he’s built for himself. In the interest of full disclosure, I admit to once knowing Australian director Imogen Thomas (18 year ago or so) when we were both in film school at NYU. Now here she is with her first feature, Emu Runner, another movie which uses local actors for many of the roles. In this case, we find ourselves in the Brewarrina community of New South Wales, Australia, a majority-indigenous area approximately 500 miles northwest of Sydney. We follow a 9-year-old girl, Gem, who, after her mother dies, strikes up a relationship with a local wild emu bird. Beyond the fact that I am curious to see what an erstwhile classmate of mine is doing, I find these kinds of very specific coming-of-age tales often quite moving. The TIFF catalog description of the film as “elegantly photographed and sparing in its use of dialogue” was the final kicker. A Claire Denis movie set in space seems out of left field, but that’s exactly what the beloved French filmmaker has set out to do, and we’ll soon find out if science fiction is within her orbit. (My money says ‘why not?’). Working again with one of her favorites, Juliette Binoche—who recently starred in Let The Sunshine In—Denis now takes aim at the moon and the stars. The crew of prisoners is headed toward a black hole, to be exact. The versatile Robert Pattinson is along for the ride. 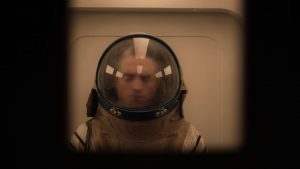 His choice of roles has been hit or miss, but with High Life all signals point to a good time. I don’t know director Sara Colangelo, personally, but I met her back in 2014 when she screened her first feature, Little Accidents, at the Maryland Film Festival. I loved that film and, as with Marielle Heller, swore to see her next movie when it came out. Here it is: The Kindergarten Teacher, starring Maggie Gyllenhaal (Frank) as an educator who becomes convinced that a star pupil is a child prodigy. Colangelo won the U.S. Dramatic Directing Award at this year’s Sundance Film Festival, and based on what I saw her do before, I am sure it is well deserved. Speaking of genre chameleons, David Lowery (former HtN contributor) has jumped from the CG blockbuster Pete’s Dragon to micro-budget existential mood piece A Ghost Story and now a mid-level prison-escape/heist movie The Old Man & The Gun. Robert Redford (in what is said to be his final role) plays the titular Old Man, with a crew of two other aging cronies (Danny Glover and Tom Waits) who aid in his exploits. It’s always a pleasant surprise to see Robert Longstreet pop up in a trailer, however Fox Searchlight’s use of the ‘Hobo’ font is almost as atrocious as Avatar’s infamous ‘Papyrus’ title treatment. Was Comic Sans taken? Despite that minor oversight, the film looks like a hoot. Anyone who saw Italian director Paolo Sorrentino’s 2014 Oscar-winner (for Best Foreign Language Film) The Great Beauty surely must have appreciated its gorgeous cinematography and production design, as well as its inventive editing. I know I did. And though his follow-up, Youth, spoke to me a bit less, it carried on with Sorrentino’s beautiful aesthetic. He’s made many more movies than those two (and is the creator of the HBO series The Young Pope, as well), many of which feature his go-to actor Toni Servillo, who once again headlines, here in a “satirical, profane, and imaginative fictionalization of controversial Italian tycoon and politician Silvio Berlusconi and his inner circle” (from the official TIFF synopsis). Beyond Sorrentino’s expected brilliant mise-en-scène, I believe the world can’t get enough send-ups of buffoonish billionaires, so count me in. What was most impressive about the actor-turned-director Brady Corbet’s debut feature Childhood of a Leader were the details—the location, the costumes, the score, the world-building. With Vox Lux, Corbet turns his focus from the war room to pop music. The bravura of his first film undoubtedly inspired Natalie Portman and Jude Law to jump onboard (Rooney Mara was previously rumored to play the lead). Corbet is also bringing back Stacey Martin who I singled out for her terrific turn as the young sociopath’s teacher in Childhood. Working again with cinematographer Lol Crawley, whose shots drip with panache, this should be a noteworthy sophomore effort. I know nothing about Mexican director Alonso Ruizpalacios (I missed his 2014 debut, Güeros), but I love heist films, and this one stars one of my favorite actors, Gael García Bernal (Neruda). He plays part of a duo that steals Mayan artifacts from an anthropology museum in Mexico City, then finds the selling of them harder than anticipated. A few phrases stand out to me in the synopsis: “melding elements of comedy, drama, and thriller” and “Ruizpalacios uses a real-life caper to ruminate on art, its self-appointed keepers, and the true ownership of priceless treasures.” I love successful mixing of genres, and enjoy films that use an engaging main story to slyly involve us in a profound, metaphysical discussion, in this case about culture and its appropriation. Alfonso Cuarón’s epic visions deserve to be seen on the big screen. Thankfully Netflix has decided to give his new film Roma a theatrical release, though it’s unclear how robust that will be. Shot on black-and-white 65mm film stock, this should be a feast for the eyes, and cinema viewing is a must. 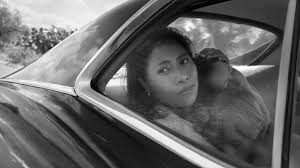 It’s clear from the trailer that Cuarón paints a vast canvas of 1970s Mexico, with grand scenes consisting of hundreds of actors to the more intimate struggles of a family. Cuarón continues to be one of the most celebrated filmmakers and humanists of our time. I’ve actually only ever seen one of Steve McQueen’s previous films, his 2013 Oscar-winner (for Best Picture) 12 Years a Slave, but that’s enough for me to know that I will pre-emptively sign up to watch any and all future films of his. A man gifted with a striking sense of composition and cinematic pacing, McQueen could make a movie about paint drying and I would at least give it a chance. But that is in fact not what we get here. Rather, it’s a “white-knuckle thriller” (to quote the TIFF synopsis), starring the likes of Viola Davis (Fences) and Liam Neeson (whose “special set of skills” in this genre are long-since established), about four women who must cope with the aftermath of their criminal husbands’ murders. Wow! Take a dazzling visual artist and give him a potboiler plot (co-written by Gillian Flynn, of Gone Girl fame, no less), and see what happens. Hey, it worked for Francis Ford Coppola, and I am more than game. And, there you have it! Keep an eye out on the streets of Toronto for Matt and Chris and stay tuned to Hammer to Nail as reviews start coming in!